Mark Gbillah, the lawmaker representing Gwer-East/Gwer-West Federal Constituency of Benue, has again urged President Muhammadu Buhari to declare killer herdsmen as a terrorist group. 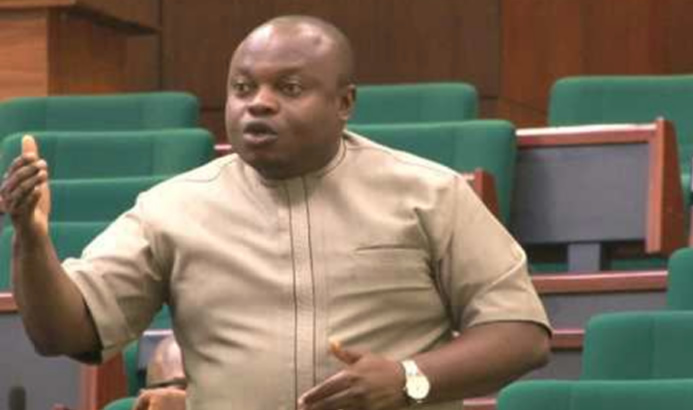 The lawmaker also gave Buhari a 48-hour ultimatum to address Nigerians on the spate of killings and insurgency, or he would be seen as incapable of ending insurgency in the country. Speaking on the floor of the Lower Chamber of the legislature, Gbillah spoke on the incessant killings by bandits, herdsmen and terrorist groups in some Northern parts of Nigeria and decried the inability of the President, who is the Commander-in-Chief of the Armed Forces, to stop and arrest the perpetrators. He claimed that the inactions of the President has further emboldened the bandits to continue their deadly acts. He gave Buhari 48 hours ultimatum to address the country and order the armed forces to put a stop to the killings of innocent Nigerians by bandits.